I’m in organization mode and I hit up my closet this weekend. 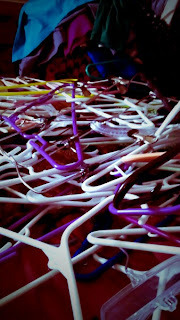 I did another big purge in my closet and more in depth organization. I’m ashamed to admit but not really, I love jewelry! However I am finding it is getting out of control. 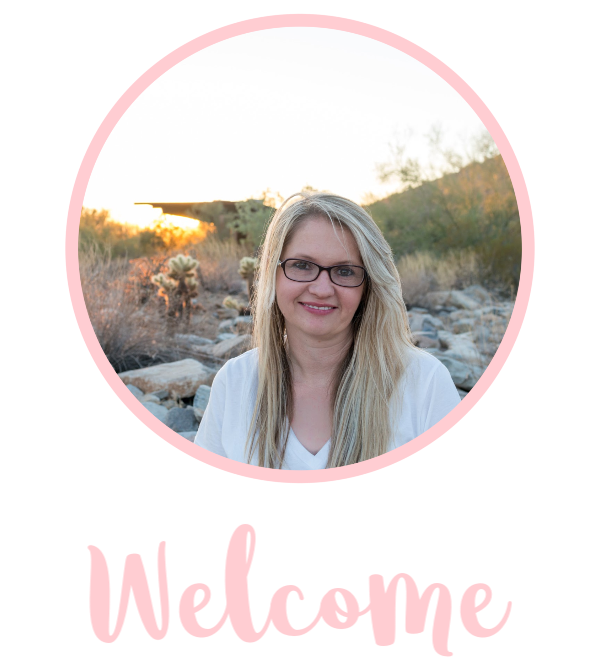 I needed something for my necklaces that wasn’t going to be time consuming or cost a lot. I lucked out when I got this old bulletin board with cork board at a thrift store. It was in great condition and less than $5! 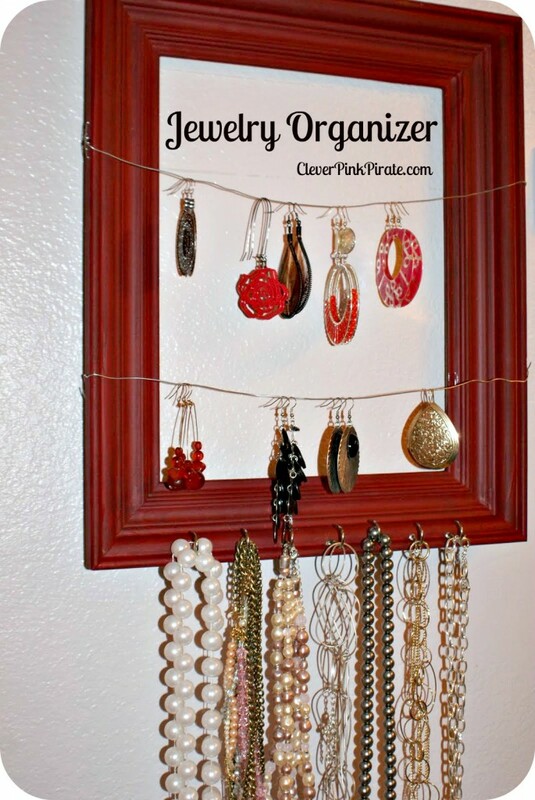 I was able to upcycle it and create this necklace holder. 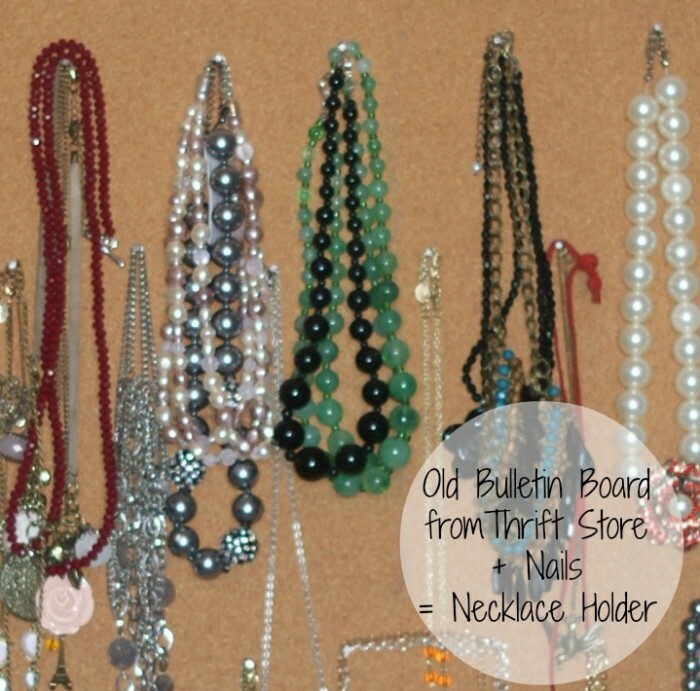 I took some nails and lined them across and down the board and then added my necklaces. It really is that easy to make with just a bulletin board made of corkboard. Probably one of the simplest tutorials I will share with you on Clever Pink Pirate! 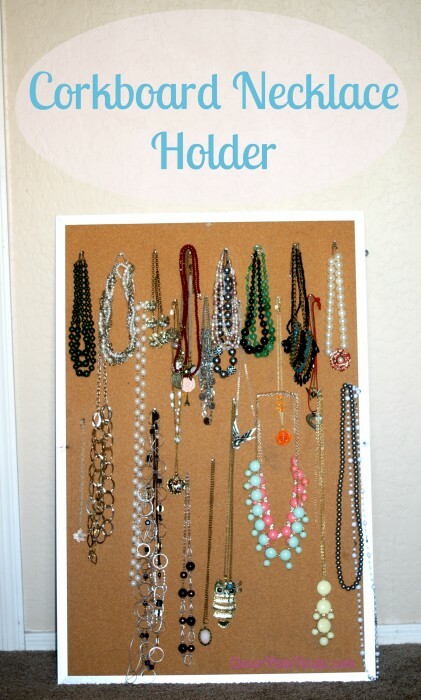 I love the corkboard idea – great for those longer necklaces that always get tangled in my jewelry box! I get so frustrated storing my jewelry! This is such a fantastic idea! Especially for keeping necklaces from knotting and tangling up.